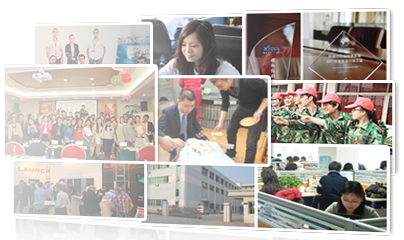 There are several types of interface. The most common use a chip made by ELM Electronics. ELM327 is the most widely used and practical, supports all OBD protocols. IE: KWP, PWM, VPN and CAN. The other interfaces only support one protocol. For example, ELM320 only supports PWM. And ELM322 supports VPN and the ELM323 KWP. ELM327 RS232 (RS or Series): This type of output is gradually disappearing from modern PCs. It is the cheapest. 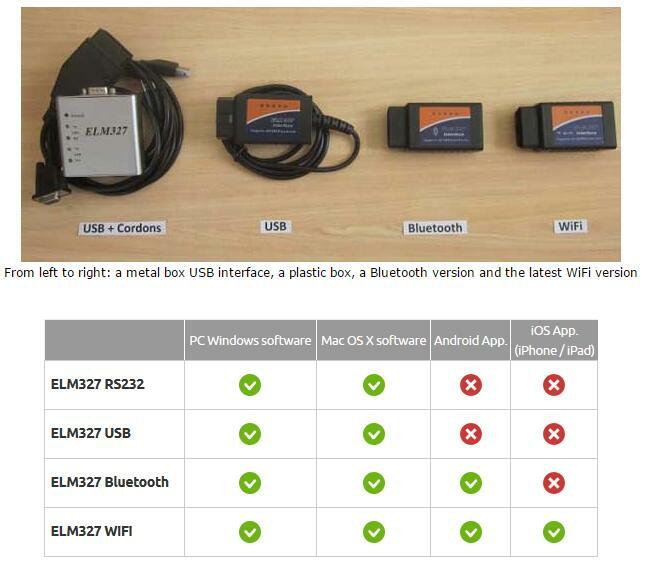 ELM327 USB: A bit more expensive that the RS and requires installation of a USB driver (FTDI or Silicon Labs). Advantages: all PCs are equipped with a USB port. ELM327 Bluetooth: It has the advantage of being wireless and can be used with a computer or a smartphone. ELM327 WiFi: Its wireless connection means it can be used with a computer or a smartphone. Only the WiFi interfaces can be used with the iPhone/iPad. It's the most expensive one.